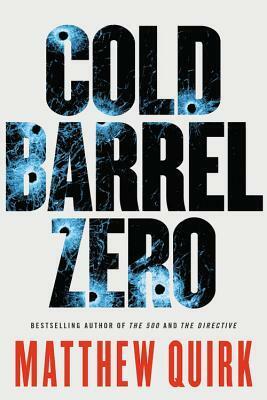 Cold Barrel Zero by Matthew Quirk is a suspenseful thriller. It displays the duty and actions of soldiers who risk their lives for their country. Sometimes, that country betrays them. This plot quickly spiraled from an innocent soldier doing his duty to him being hunted by his nation. Hiding away like a criminal, Hayes, a special ops agent is determined to go after those who betrayed him and his team. This novel has plenty of action, intrigue, and risks to keep me reading. I was entertained. It showed the gruesome reality of what happens that the public isn’t aware of…makes me rethink what really happens to our soldiers.